It has been a whirlwind 36 hours and I would like to make one thing clear, I have grabbed this positive EPO test at UTMB® by the horns not because I wish to humiliate the guilty runner, cast doubts on UTMB® or UTWT but because this is the first official EPO test of a runner in a trail running event (as far as I know). I believe strongly that if we get it right NOW then this can only help in the future. For me and yes, I may be naive, but it appears that the current process has huge flaws! This test being confirmed, listed on the IAAF website and a ban put in place. 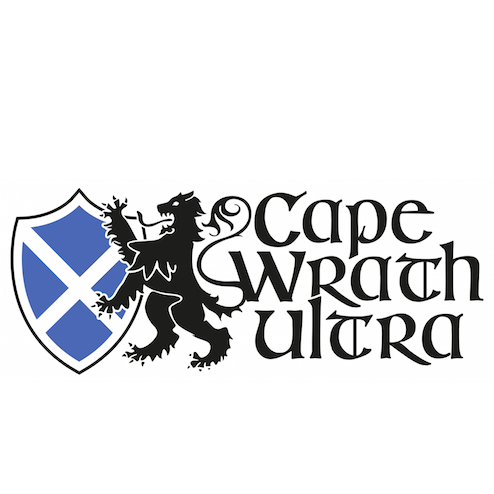 However, the test was taken on the day of UTMB® and ‘we’ the public have only found out on July 18th/ 19th and this was down to the eagle eyes of UK ultra runner Robbie Britton. 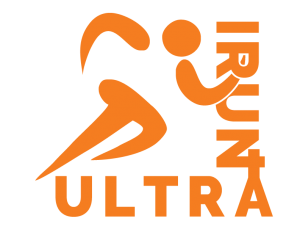 I picked up the case and contacted all the relevant people and within 24 hours we had a UTMB® release stating disqualification. See HERE. The above are positives but how was it possible that the UTMB® did not know of this positive test? I asked for clarification and Michel Poletti at the UTMB® provided a response HERE. The organizer has no information about the doping controls operated on his race. When a national or international federation make a decision, this decision is published on the web site of the federation, with no other announcement. It seems crazy to me that a race (any race) would not be informed of a positive test. How are the race meant to action on this? Like Michel Poletti implies above, he or the race would need to check monthly, weekly and/ or daily for results to be posted? This is a major flaw and I hope that we can somehow instigate from this a better procedure so that races and those in charge receive results asap! I must stress that I don’t think that this positive test is a negative thing for UTMB®, on the contrary, it’s a positive! They have had tests, the tests have worked and the sport is a little cleaner. What I am worried about is the protocols and procedure. By the above ‘After Controls’ one has to assume that Gonzalo Calisto was informed of his positive test in September 2015 (the above says, within 3 weeks maximum.) Calisto lives in Ecuador so if he requested a B sample this would take us to the middle of October but lets assume the worst and it was November. What has happened since November 2015? In this case, the Testing and Results Management process was performed by the French Anti-Doping Agency (AFLD): https://www.afld.fr/ Normally we would expect that they would have informed the organisers but in this case as it was handled at a national level we do not have confirmation of this. As you will see, some major flaws in my opinion. 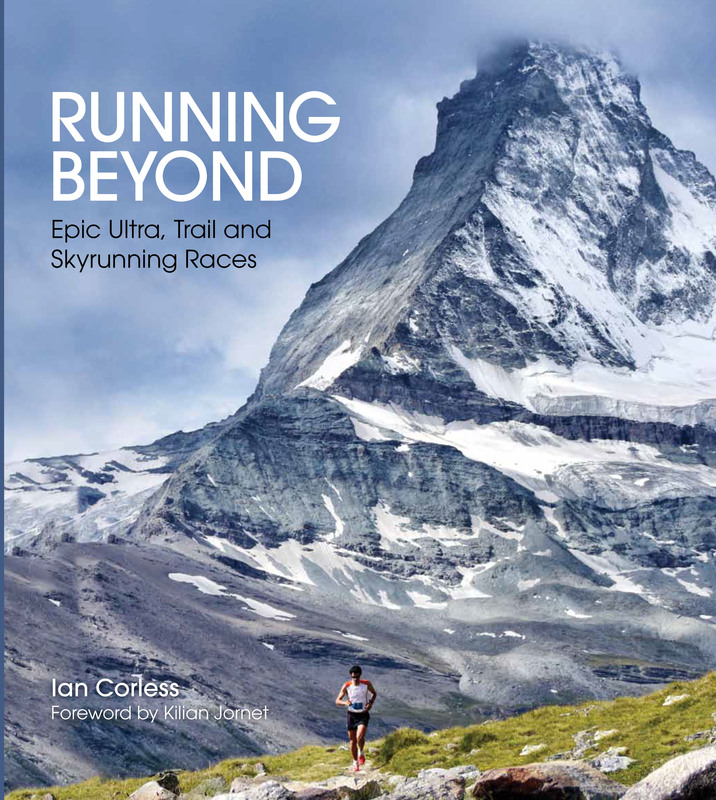 This is bad for the UTMB®, UTWT and ALL runners who want to compete on a level playing field. 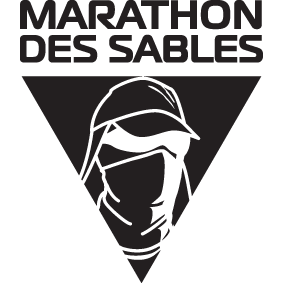 I am still struggling to understand how it has taken till July for us all, UTMB® included to find out of a positive test and a ban that must have taken place in November, December at the latest. For longer events, fat utilisation is critical to prevent glycogen stores depleting quickly. You should have optimised this in training beforehand, but during your race, riding and running at the correct intensity is critical. If your race pace is too quick, then you are in danger of running your glycogen stores low, resulting in a poor performance. Maintain a constant intensity and avoiding spikes is also critical. If you push hard on uphills and recover on the downhills, your intensity will vary greatly throughout the race. Remember, when you pick your intensity for any event, average figures (average heart rate or average power) or pretty useless as a guide. You need to hold the intensity constant, with little change in intensity. If you aim to ride or run at a heart rate figure of 130 beats per minute, then set yourself a tight range of 125-135 for the duration of the event. Slow on the uphills and hold pace on the flat and downhills. Avoid the fast start or you’ll suffer later in the event. It’s very clear watching ironman races, marathon and ultra races that at least 90% of the field start at a quicker pace than they finish. There are 3 main reasons for this: The first is that you are fresh, so going hard feels easy. Coupled with this, you have an adrenaline shot at the start, so this exaggerates how good you feel. The killer shot is the fact that everyone else feels the same, so they all go too quick and it takes a very brave person not to react and follow everyone else! There is an element of sheer panic for many people during the first hour of an event, when riders and runners are streaming past them at a quicker pace. From a psychological standpoint, this is incredibly difficult to handle, so we inevitably end up going with the flow of traffic and picking up our pace. 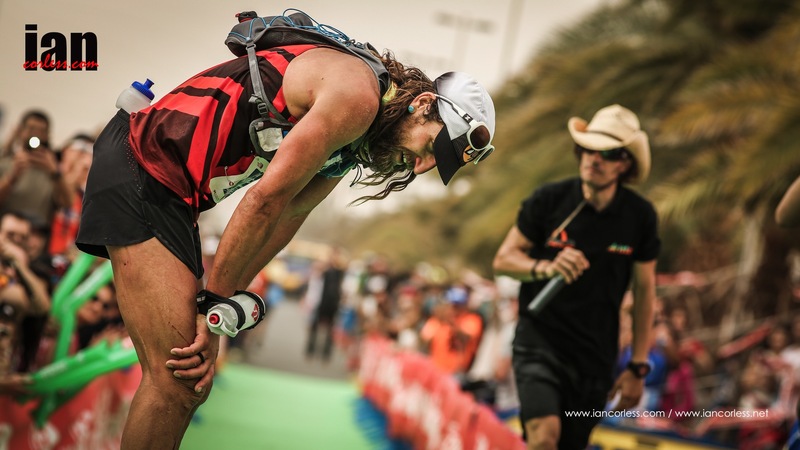 Here’s the thing, most of those people passing you in the early hours of an ironman bike course, or the opening miles of an ultra race, will be walking huge chunks of the event in the latter stages. If your better pacing means that you are still running in the latter stages, any time losses now will be erased and reversed without any issues whatsoever. In fact, many of them might actually drop out and not even finish!! 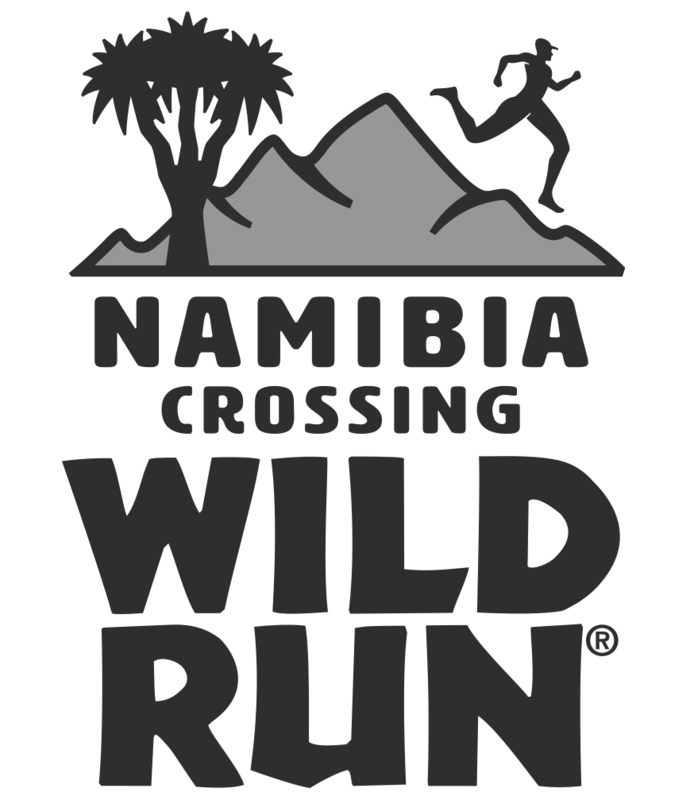 This is the most important race of the year for you, having spent 12 months preparing, are you going to blindly follow someone who is pacing the event badly? Knowing deep inside that you’re riding or running at the wrong pace, are you going to chase them, only to ‘blow up’ in spectacular fashion later in the day and destroy your chances of a great performance? Sound stupid? Well that’s how a lot of people race. Let’s make this very simple. In a long distance endurance event, you can only go at the pace that YOU are able to sustain for the duration of the event, what everyone else does, should not affect your race strategy. Prior to your event, you should have a pre-set intensity that you are intending to sustain. You may have a power meter on your bike to measure watts or you may have a heart rate monitor to gauge how hard you are working. Once you have that pre-set intensity, you should stick to it and ignore all other competitors. This concept is termed ‘process orientated’ as opposed to ‘goal orientated’ racing. 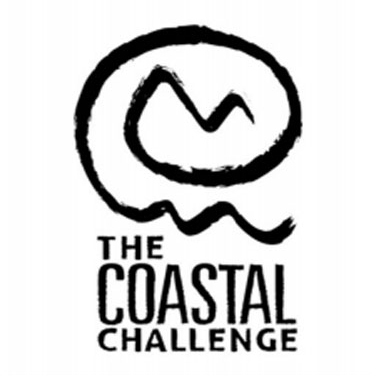 Goal orientated is simple, you set a target of 12 hours for your event and you swim, ride or run as fast as required to achieve that 12 hour time. It doesn’t matter if you’re going quicker than you can handle, you simply chase the pre-set time. Process orientated refers to you focusing on the process of swimming, cycling and running at the right pace. Following a nutrition plan and doing all the things you’ve trained to do beforehand. You focus on the process only and ultimately, when you reach the line, the finish time is whatever the finish time is. What’s key, is that is you focus well on the processes, your finish time will be the best you are capable of on that day. Process orientated racing works best in longer events as tactics play less of a role. You can’t control who enters the event and you can’t control how well those people race. As a consequence, you cannot control your finish position at the end of the day. The only thing you CAN control is your own pacing and race strategy, to give you the best possible chance of achieving the finish time you hoped for. Ultimately, whilst you will have a pre-set pacing plan, you will have to be flexible on the day. Your pacing strategy and other actions should be based on the ‘here and now’. You should be making regular checks and asking yourself how you feel at that moment in time and whether there is anything you need to do as a consequence. For example, if you had planned to run at 5 minutes per Km pace and you feel that pace slowing, then you should not panic. Instead, think about what you need to do at that time to solve the problem. Do you need to eat and drink? Do you need to slow a little? Be flexible, don’t just continue in a blind manner trying to hold the same pace or it will result in a major collapse. One of the key things to remember when competing in long distance events such as Ironman or ultra running is that energy can fluctuate. In a simple marathon race, you tend to feel ok at the start and then gradually get worse as the event progresses. In an Ironman marathon or ultra race, you can have patched where you have to walk because you feel so low, but 5 miles later, you may be running at a strong pace. When you have a drop in energy, don’t lose focus and don’t lose your head. That’s the point where lots of people just give up, start walking and never start running again. Focus on the here and now, what do you have to do to solve the problem and get back to the plan? Whatever happens, you can only be as good as you can be on that particular day. If you focus on the processes, you’ll know that when you cross that line, that’s as good as you are, for today at least. 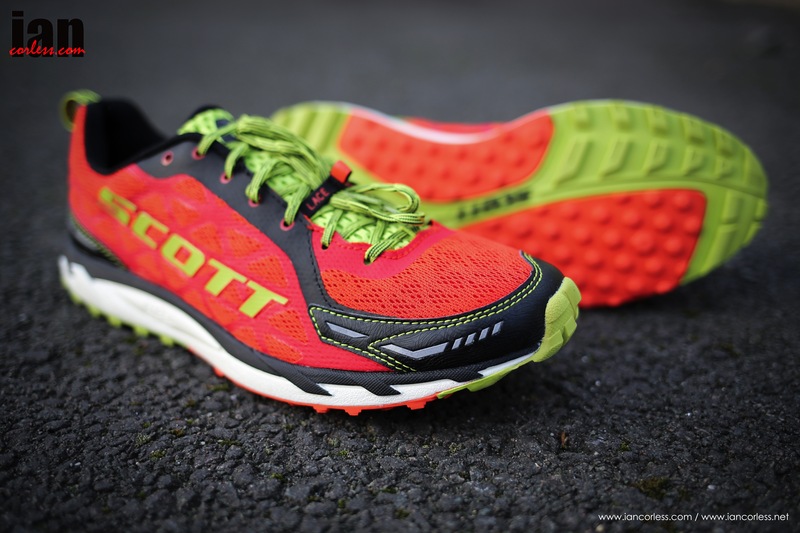 Following on from the extremely successful and popular T2 Kinabalu (review HERE and ladies review HERE) Scott have produced an out and out trail running race shoe aptly named the Trail Rocket. 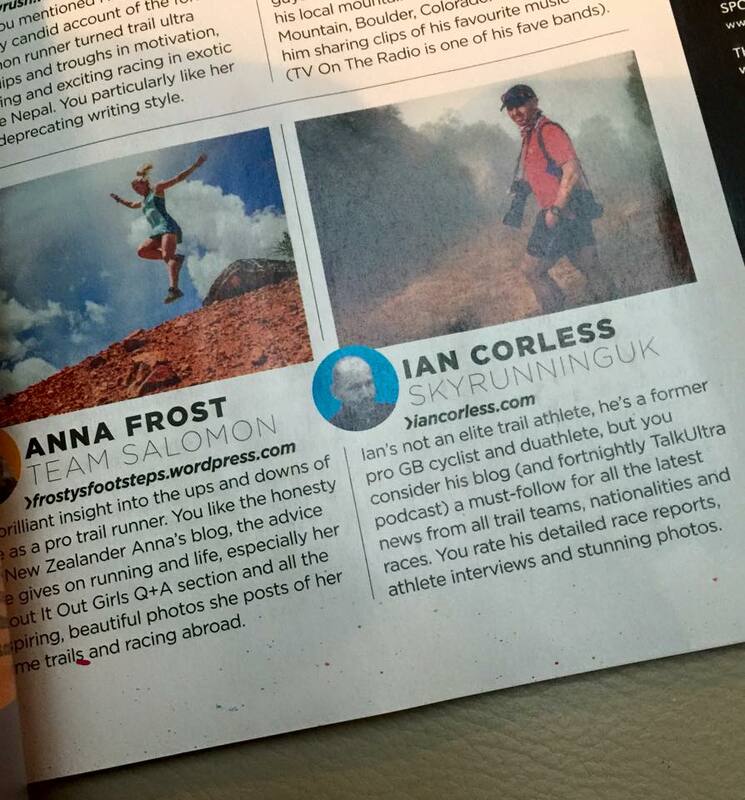 The original Trail Rocket (Feb 2014) when released gained plenty of initial praise. I praised them! However, it soon became apparent that the sole had some serious issues. The black nodules as seen on the image below literally would just come off. For me, my shoes did last a while before I had issues, however, some runners had problems within 50-miles. 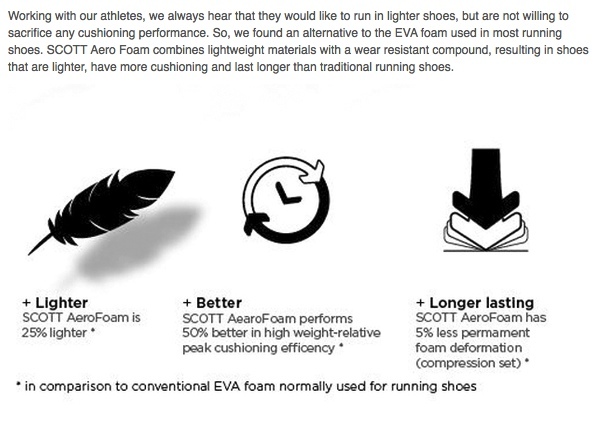 The new 2015 shoe has addressed this issue and the sole is now far more resilient and long lasting. The orange section of the sole is now a moulded compound and the grip is not ‘added’ as in the previous model. So if you have used the Trail Rocket in the past, like them but refused to go near them again because of longevity issues, don’t worry, Scott have addressed this! If mud is your thing the Trail Rocket is not for you. 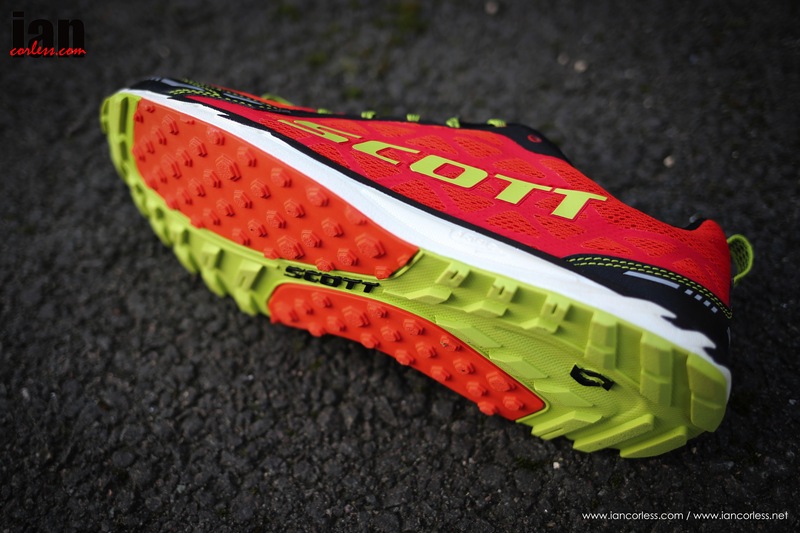 The Trail Rocket 2.0 is for fast running on hard pack trails, rocks, gravel and so on. They can withstand a little mud but not too much. 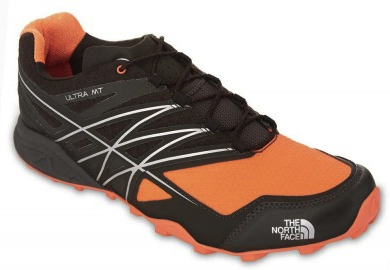 They perform well on wet ground but the compound used in the orange section of the sole is relatively hard and on occasion I have felt the shoe slip. It’s only a minor slip but nonetheless it does make you take a breath and then you question what will grip be like later in the run? 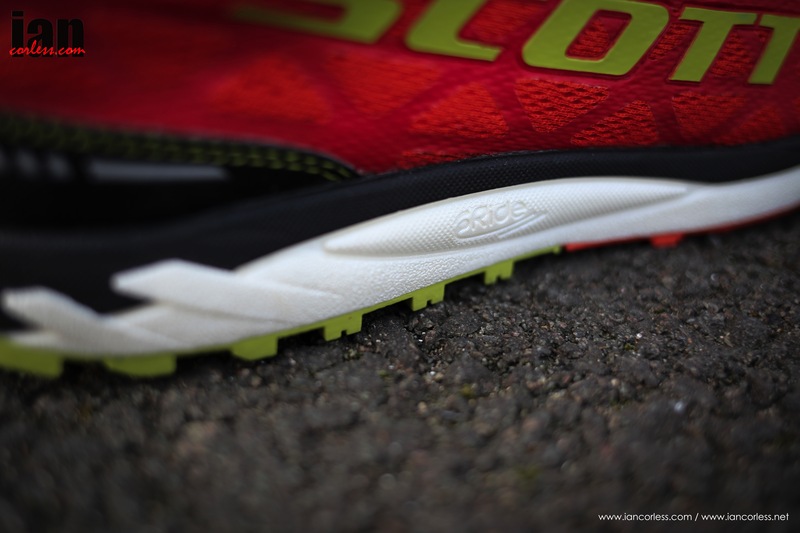 Following the trend for low drop shoes, the Trail Rocket 2.0 has a 5mm heel to toe drop in comparison to the 11mm drop of the T2 Kinabalu. 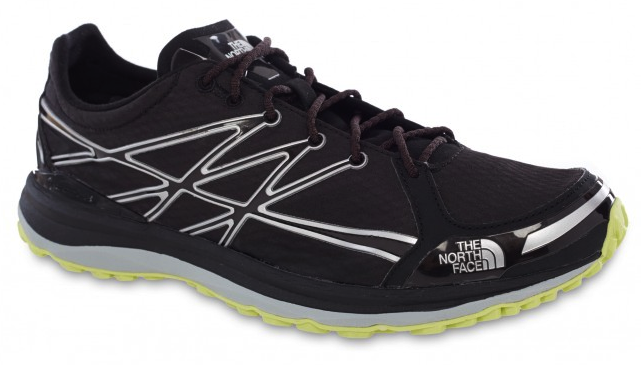 The T2 Kinabalu is still a favourite shoe of mine even though it has an 11mm drop. This is mostly due to the ‘rocker’ sole which makes the shoe feel lower than it actually is. 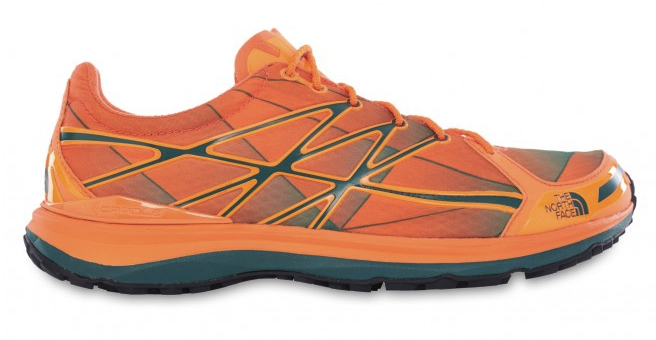 You can see one of the 2015 T2 Kinabalu 3.0 colour ways below. The upper of the Trail Rocket 2.0 is very breathable with a slightly narrow toe box (precision) and a snug heel compartment that provides a solid and secure fit. Toe protection is okay but not great. Sizing is true to size, however, if you are going without socks you may want to check what works for you. Lacing is solid and depending on your preferred lacing method the shoe holds firm to the foot and is extremely comfortable. 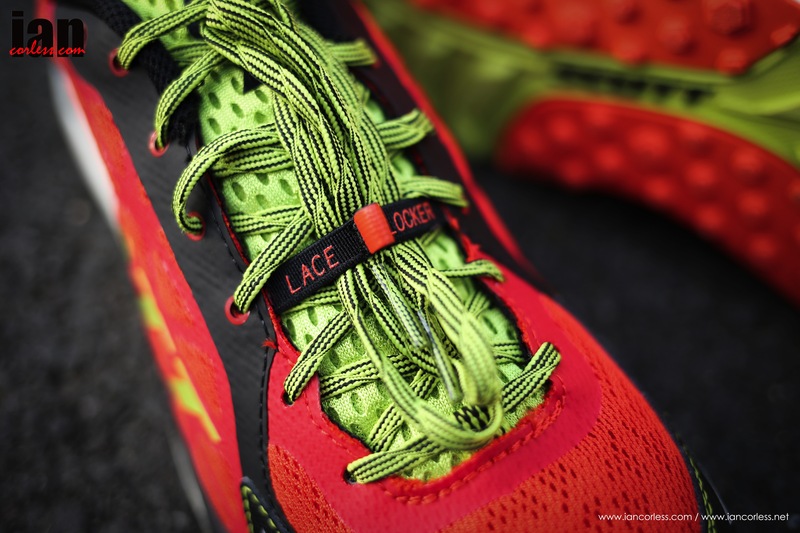 The laces provide a real secure and tight hold and once tied they hold firm and don’t come loose. An elastic bungee (Lace Locker) holds and retains any excess lace.It’s a really practical solution that was missing on the original Trail Rocket. 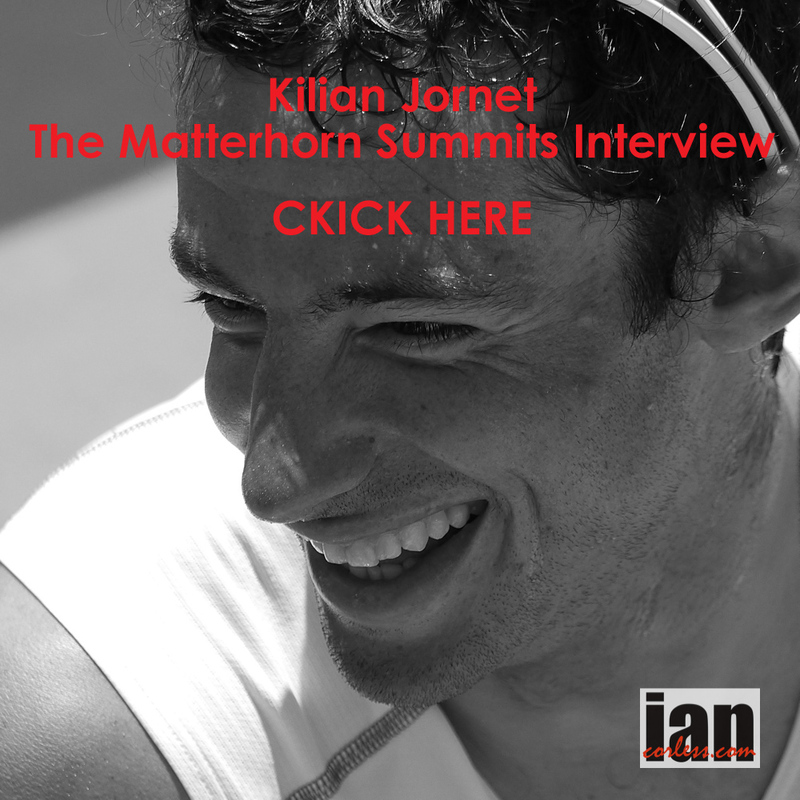 It’s a simplistic solution to a problem that exists for all runners unless you use Salomon! The Trail Rocket 2.0 is lightweight and versatile and designed for maximum performance for racing and fast training. The minimalistic design in combination with the eRide™ Technology promotes an efficient, natural and fast running style. 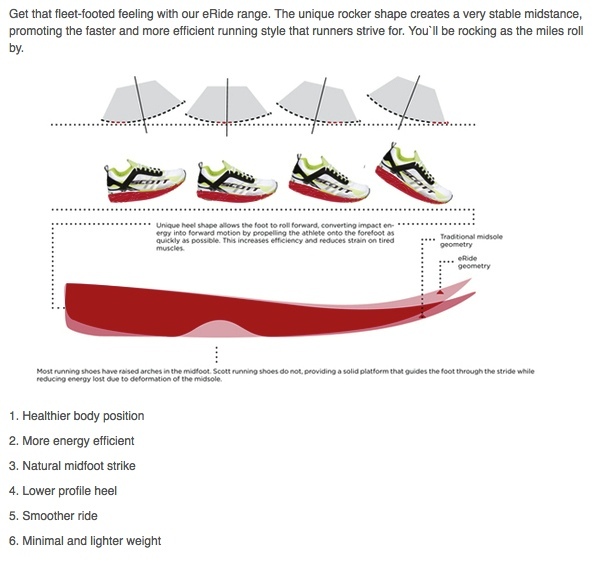 Arguably, the eRide™ (rocker) may not required for this model of shoe as a 5mm drop will almost certainly mean that your run form should already be good and mid to forefoot landing is normal. However, should you be transitioning to lower drop shoe (say from 8mm) the eRide™ will help guide you on your way. As you would expect, the shoes weigh in at a light 260g (UK9) which is obviously due to the minimalist design and Aerofoam. 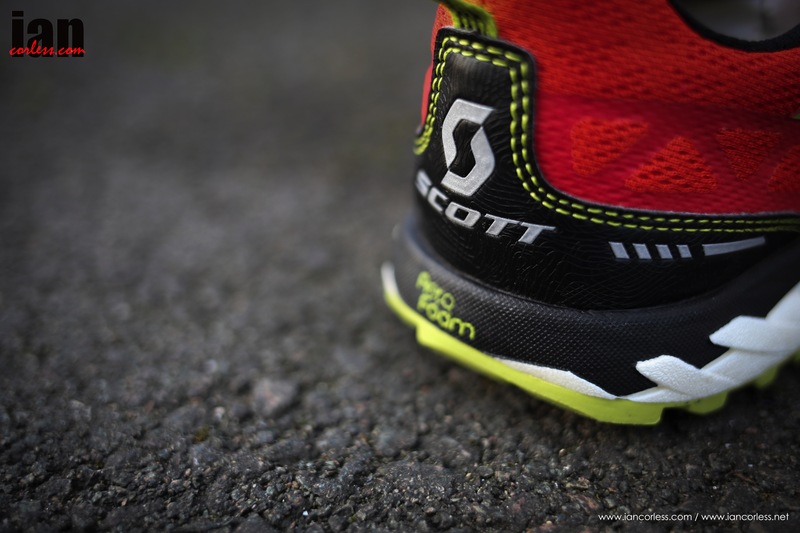 Forefoot cushioning is 17.5 and rear cushioning 22.5 providing a shoe that still provides good cushioning and protection. How far can you run in them? Well it very much depends on your form, adaptation and technique. 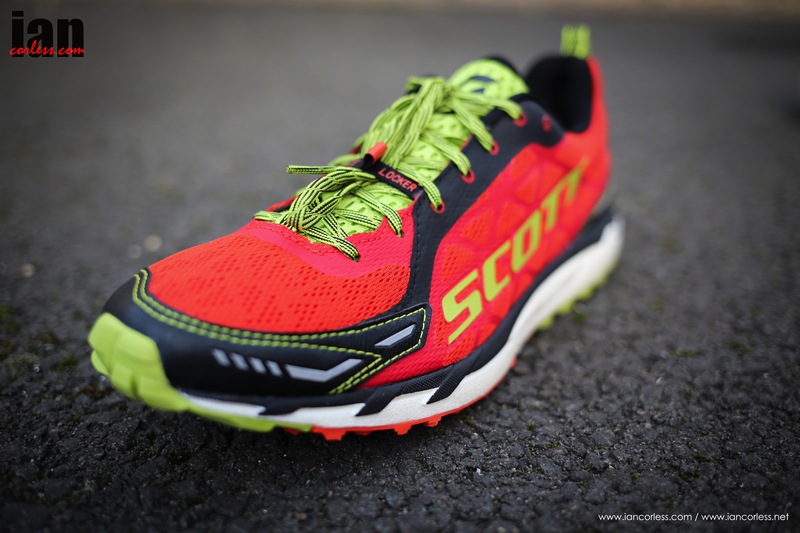 Without doubt I think we will see many efficient runners covering 100-miles in this shoe, however, for many the Trail Rocket 2.0 will be ideally suited for fast running on trail races up to 50-miles. 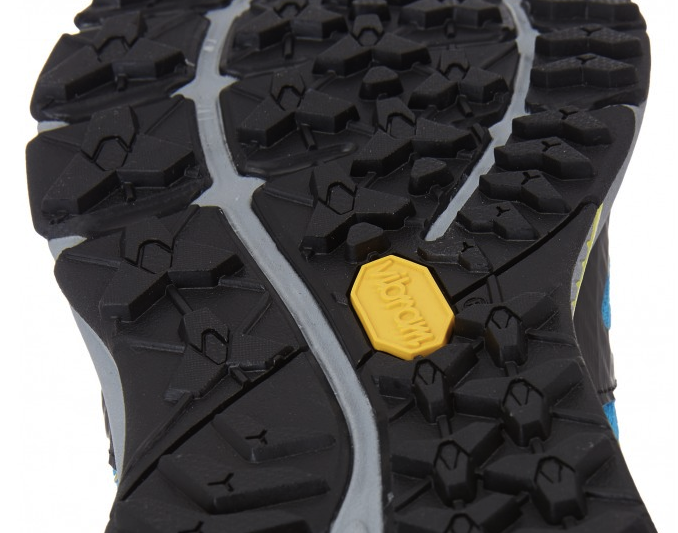 The Trail Rocket 2.0 has a ‘Rock-Protection-Plate’ too reduce any impact from obstacles on the ground and cushioning is good. I have had few issues with ‘feeling’ the ground beneath me. 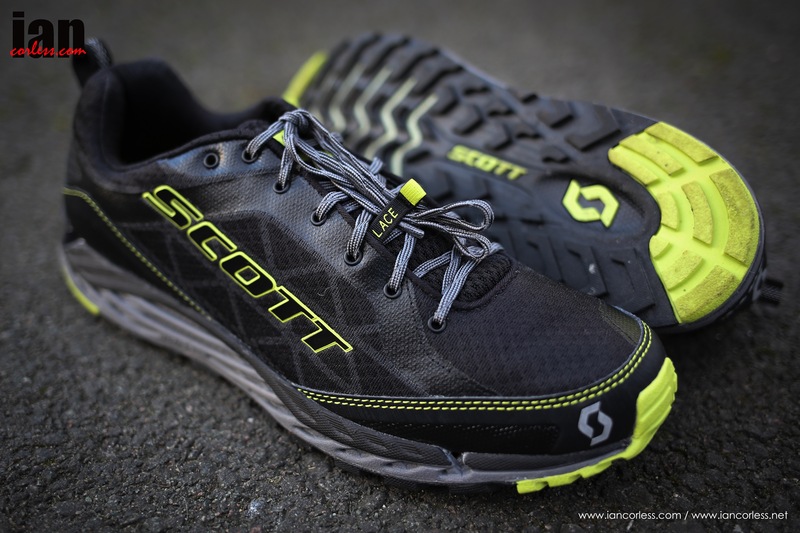 Slipping the shoe on you have that confirmed comfort feeling inherited from the T2 Kinabalu, so, it’s fair to say that if you are a fan of its beefier brother you are going to like the Trail Rocket. Overall comfort is great and you zip along feeling very light and fast. The shoe has great flexibility. They encourage you to move quicker, lighter and faster with increased cadence. A real bonus is how good the shoe feels on road and/ or tarmac. Many of us need to transition to trail either by connecting roads or maybe you need to access trail with a jog to and from home? The Trail Rocket handles this well. 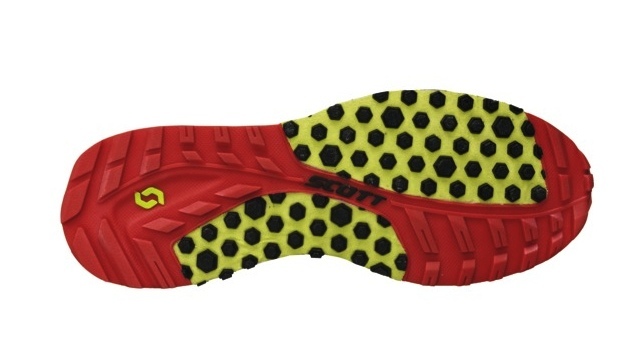 It’s too early to say in testing what impact this will have on the wear and longevity of the sole. 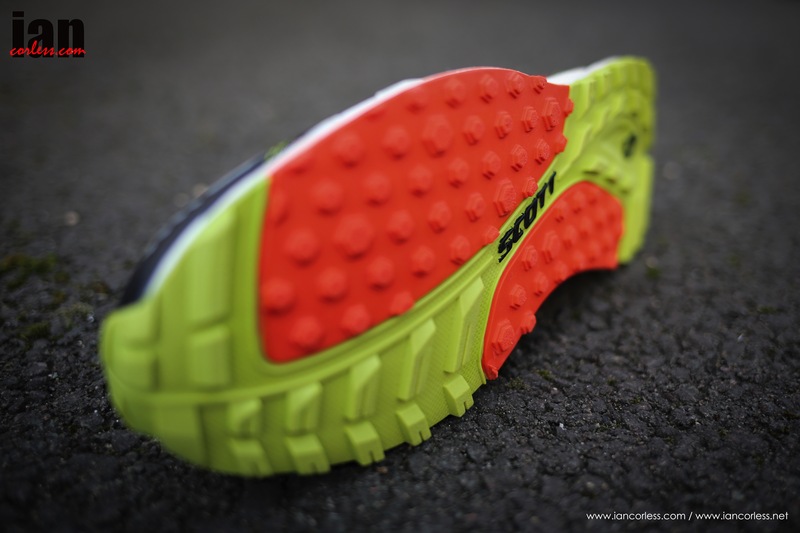 The Trail Rocket is definitely a shoe for faster training sessions. 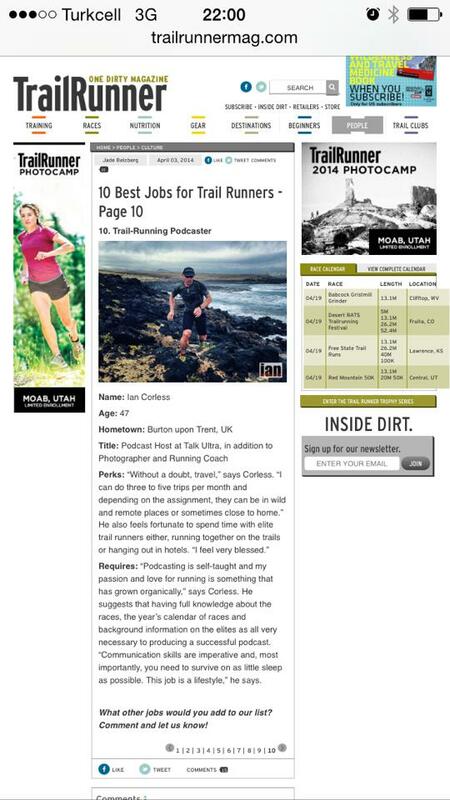 Certainly if you are new to ultra racing or looking to complete rather than compete, the Trail Rocket may not be the shoe for you. I really like the Trail Rocket. I enjoyed the first incarnation and had the sole not let me down I would have continued to use them. SCOTT may have an uphill battle convincing previous Trail Rocket owners back… that would be a shame! 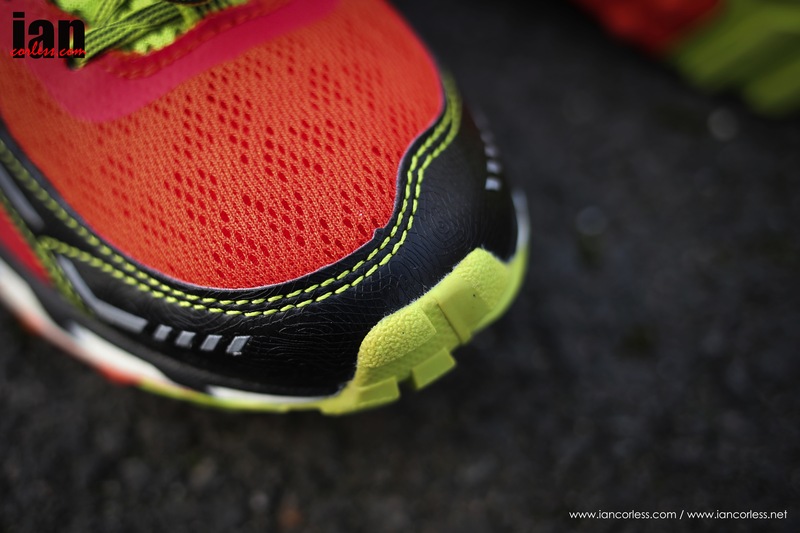 The 2015 edition of the shoe is exactly as before but now the shoe has a sole that can keep pace with your running. Great lacing and ‘Lace Locker’. eRide and Aeroform and buzz words but they work. Maybe too light for some runners. Potentially too narrow in the toe box, so, if you like roomy shoes make sure you try these first. 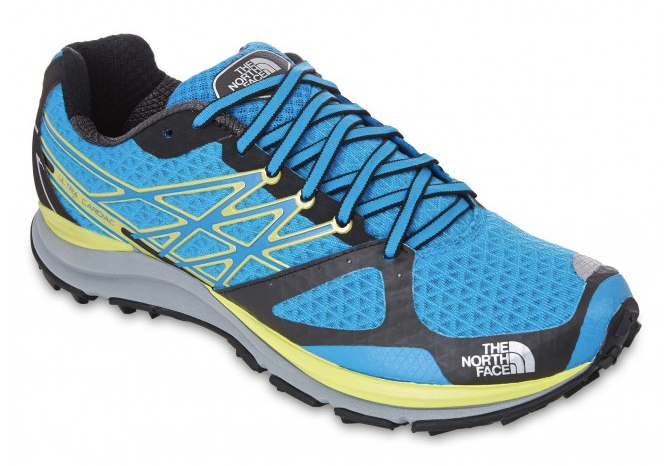 Previous model sole had real issues so runners are going to need to be convinced.